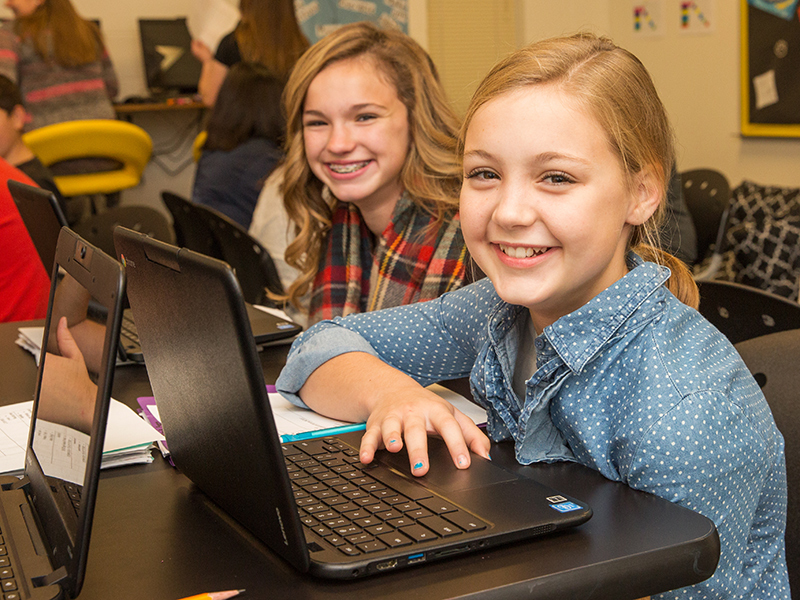 Cisco Junior High School created a simple pacing system to help keep students on track, and monitor and make sufficient progress on their personalized playlists. It also helps ensure students are working on content aligned to their needs and interests, and at a sufficient level of rigor. To provide structure for students to help them better manage their time, teachers separate playlist content into “must do” and “may do” categories. This pacing system guides students towards making informed choices about their learning activities and allows them to practice making thoughtful decisions as they exercise student ownership skills. “Must do” tasks are exactly what they sound like: instructional activities that the student must complete before moving on to the next playlist (usually by the end of the week). “Must do” tasks are most directly aligned with learning goals and might include working through content in an online textbook, independent practice, or Dreambox. While students have to finish all of these assignments to complete a playlist, they can generally choose the order in which they do them. Students struggling with certain content can use their Extension class to help them complete “must do” tasks in a timely fashion. Students can also test out of certain “must do” tasks through MAP and pretests. Students who finish “must do” tasks early can move on to “may do” tasks. “May do” tasks are a variety of instructional activities, including content review, deeper learning, and longer-term projects. For example, students may reinforce what they’ve learned in the “must do” tasks with certain math games or online content, as well as content that challenges them further within that specific learning goal. Some teachers also assign longer-term assignments that students need to complete over several weeks. Once they finish the “must do” section of their playlist, they can choose which of these assignments they want to work on. This system helps ensure students can work at their own pace while still having choice in their learning and accountability for finishing their work in a reasonable amount of time. Chooses the order in which they complete “must do” tasks. Completes all of the “must do” tasks in order to finish a playlist. Moves on to “may do” tasks if they have finished early. 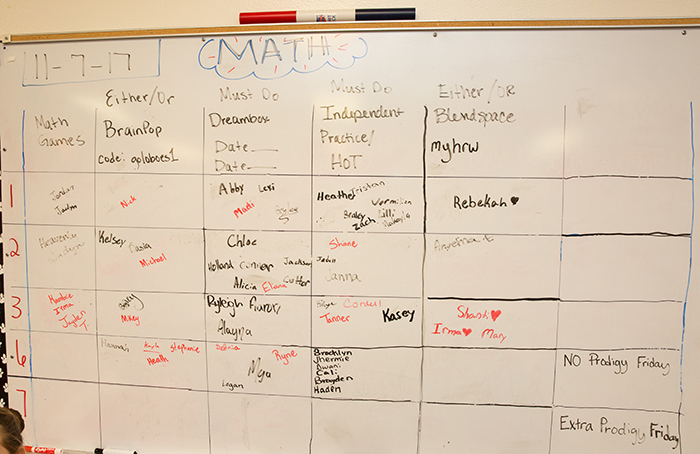 Categorizes mandatory instructional activities as “must do” tasks on student playlists. Categorizes review and challenge activities as “may do” tasks on student playlists. Monitors progress and supports students as needed to ensure they are completing the “must do” section of their playlist in a reasonable amount of time. Provides online content that students work on as part of their “must do” or “may do” tasks.